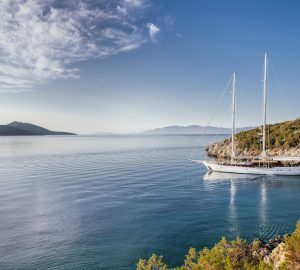 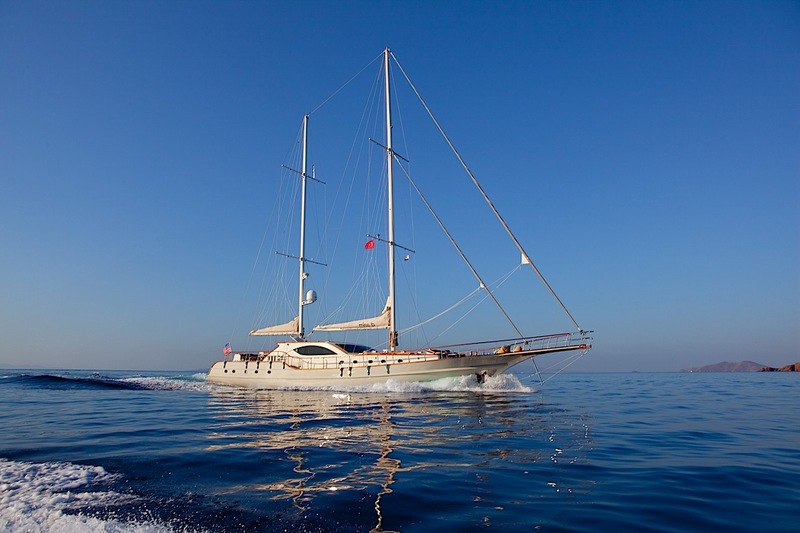 Built in 2009 by Antalya Shipyard of Turkey, the 29.10m (95.4ft) motor sailor MISS B offers luxury yacht charter vacation. 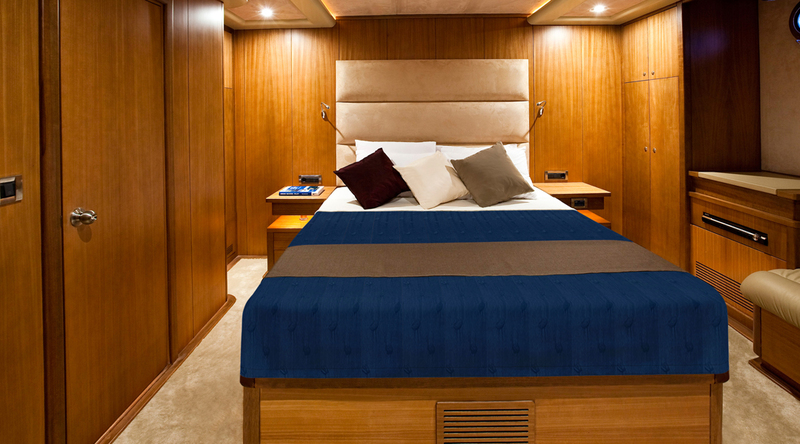 With comfortable accommodation for up to 8 charter guests in 5 en-suite cabins, MISS B is perfect for families and friends alike. 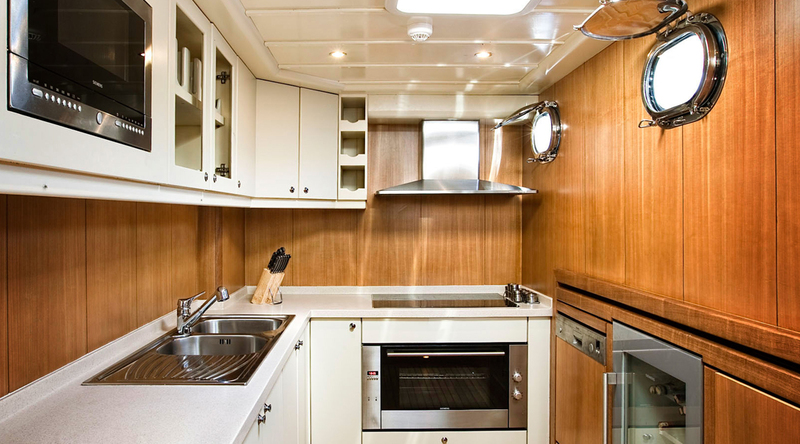 The motor sailor MISS B features a contemporary neutral interior décor, boasting ample areas to relax, plenty of natural light and spacious guest cabins. 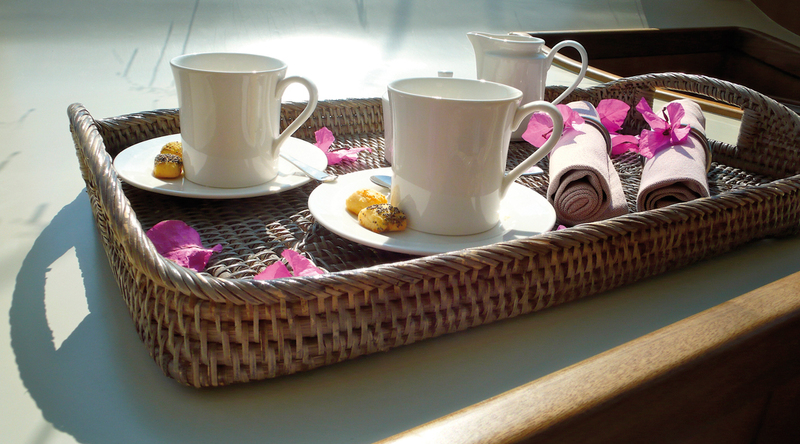 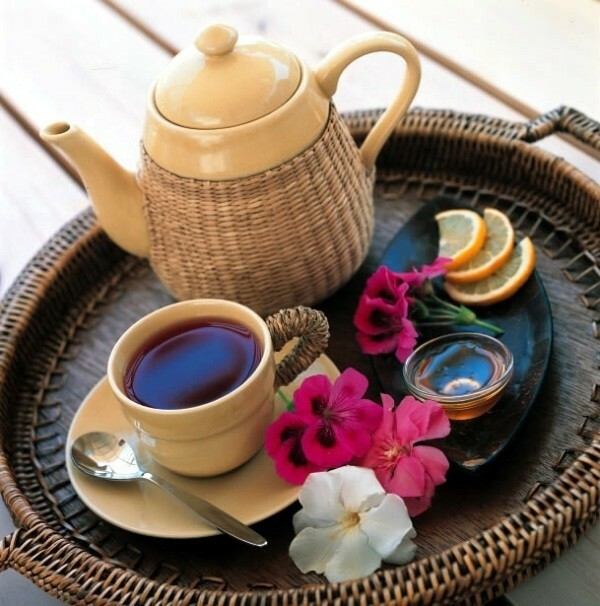 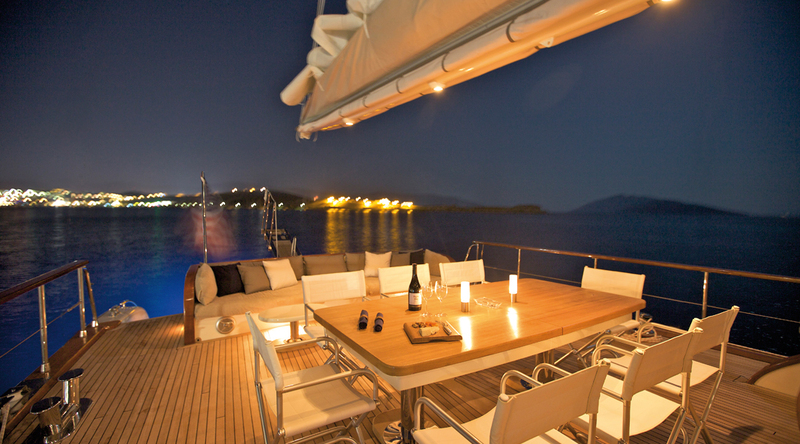 The salon and dining is an open plan, with a lounge to port and formal dining on starboard. 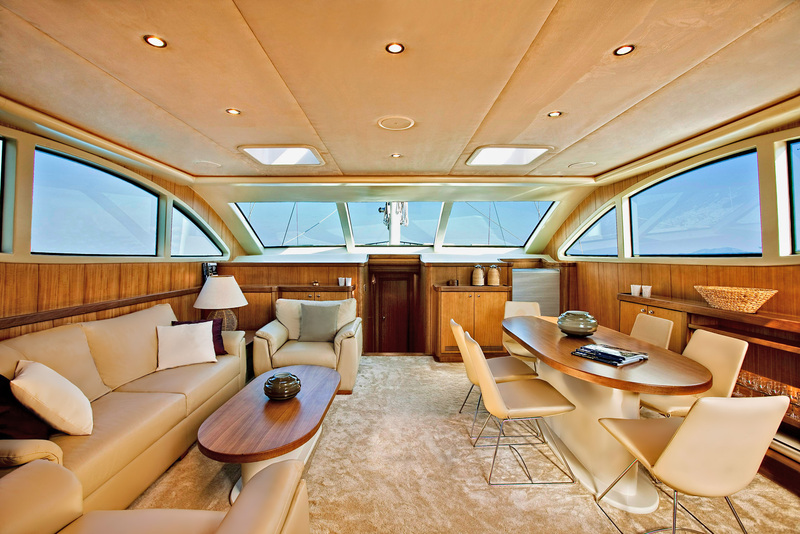 In a raised position, space is surrounded by large windows, enhancing the sense of openness. 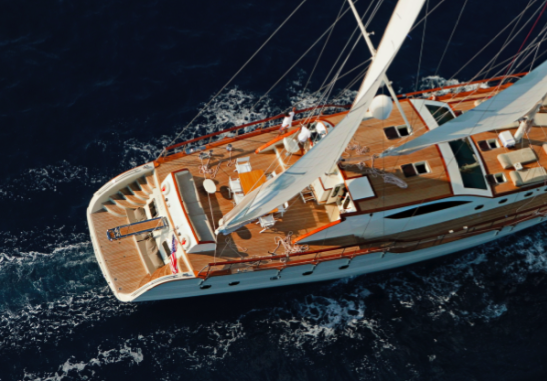 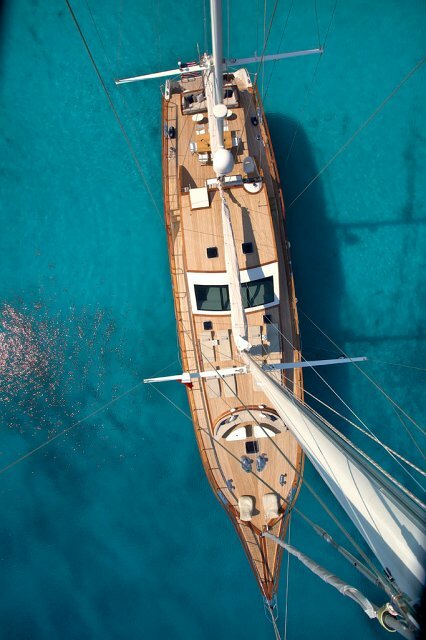 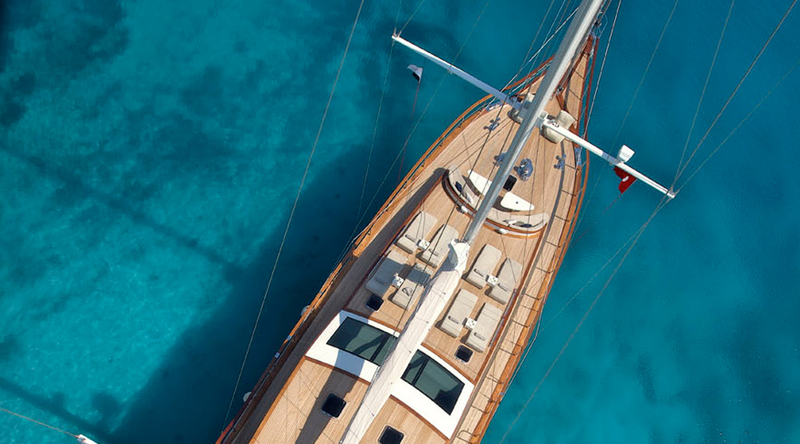 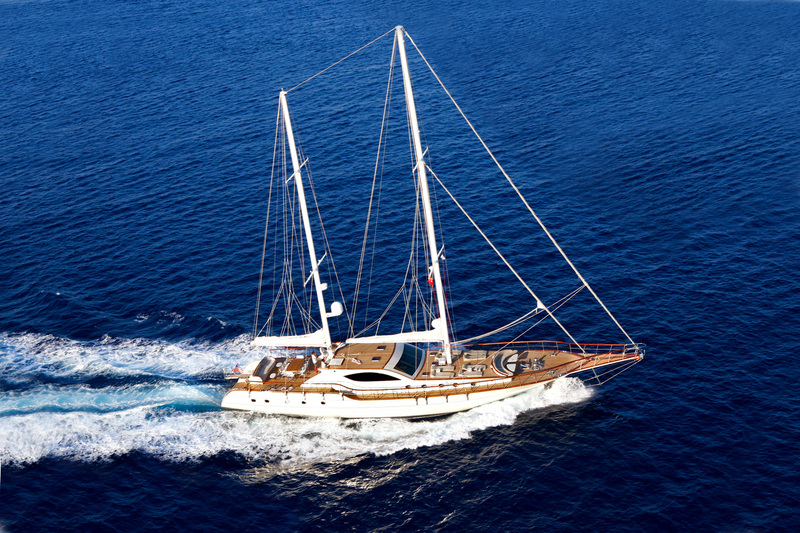 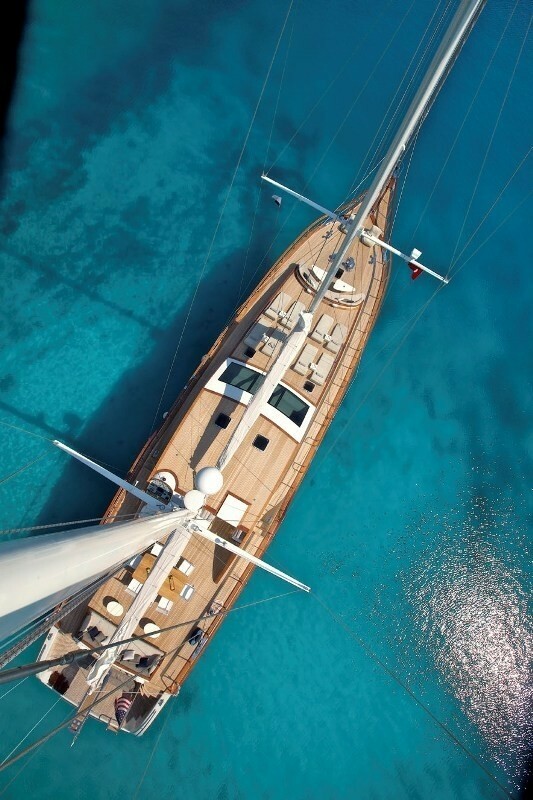 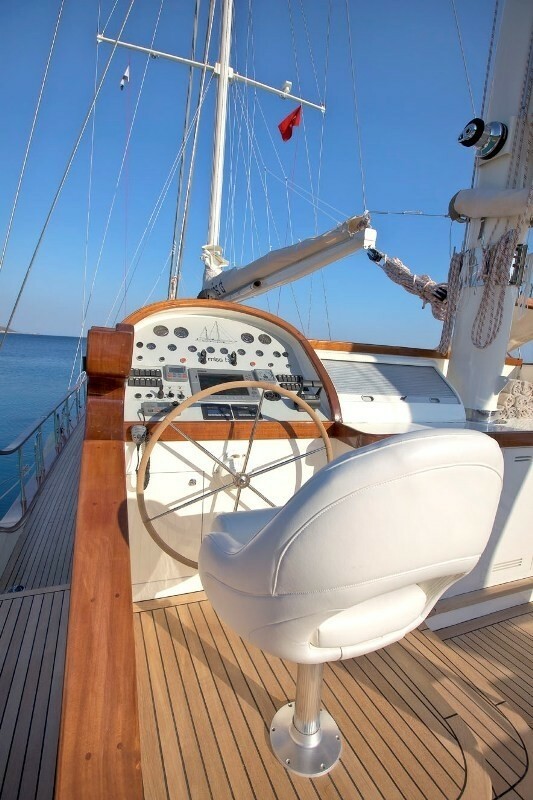 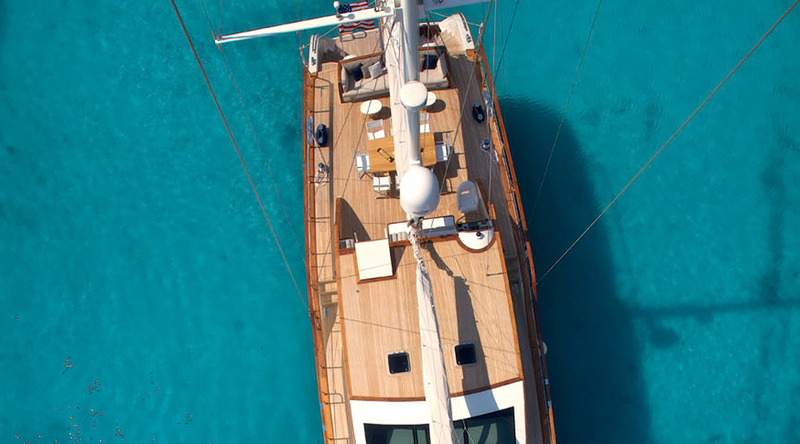 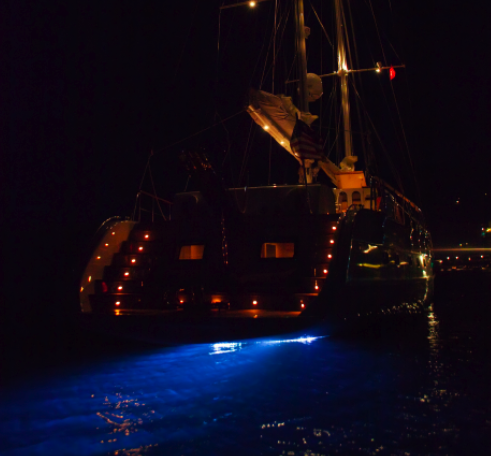 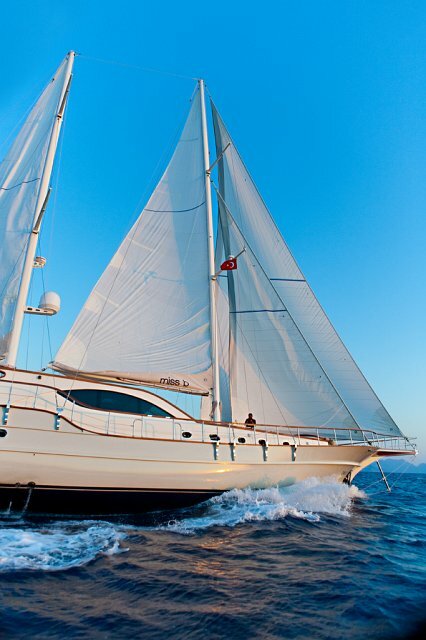 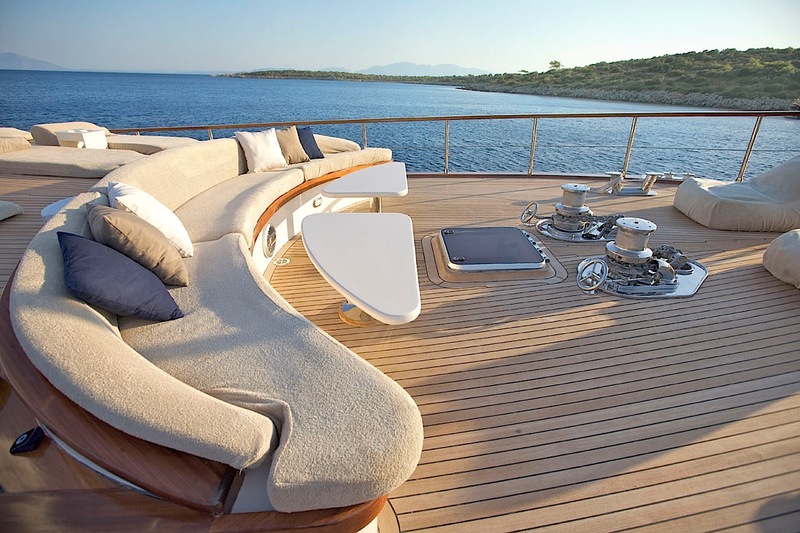 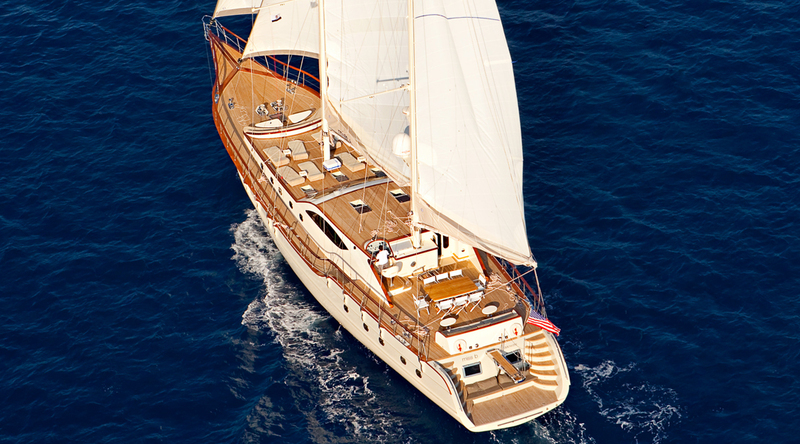 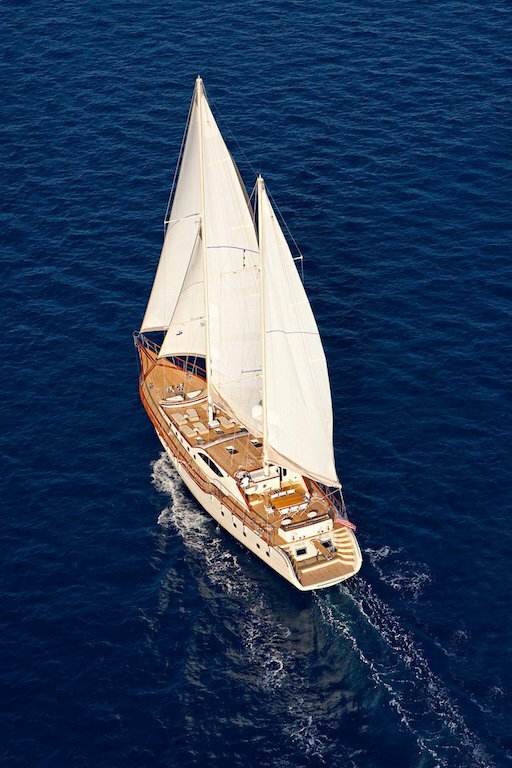 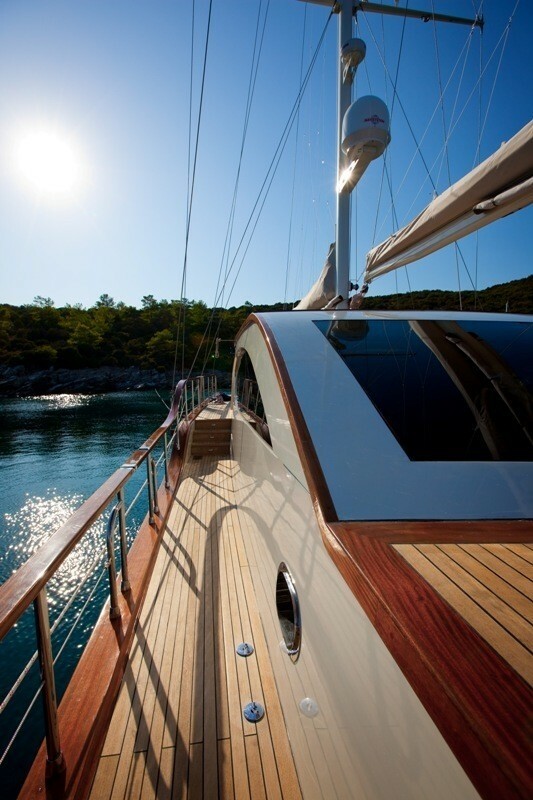 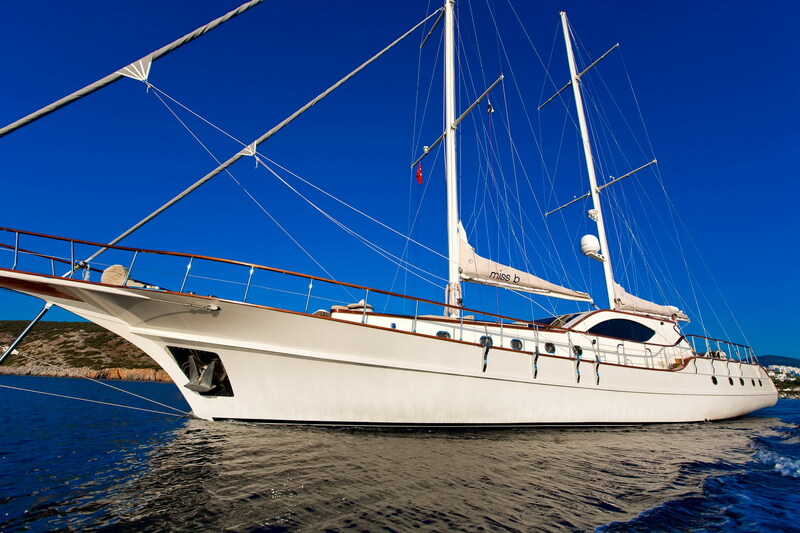 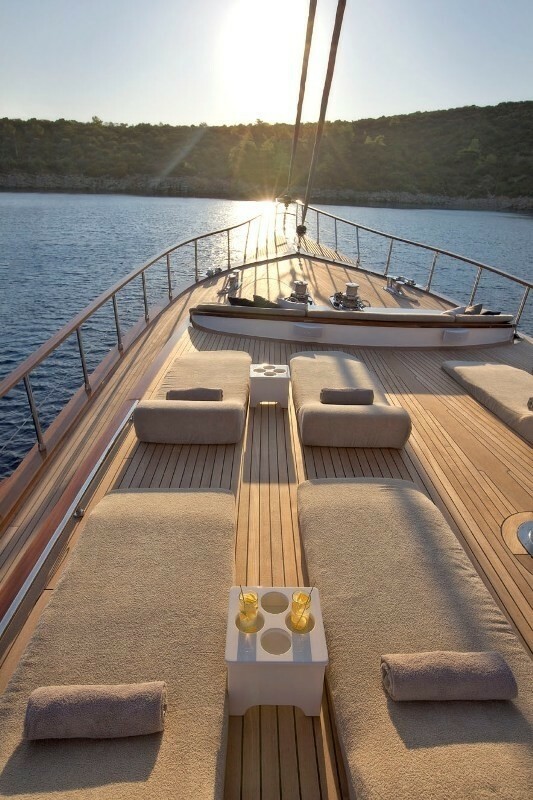 MISS B has a wide beam of 7.10m (23.28ft), she boasts deluxe teak decks and an abundance of areas to relax or entertain. 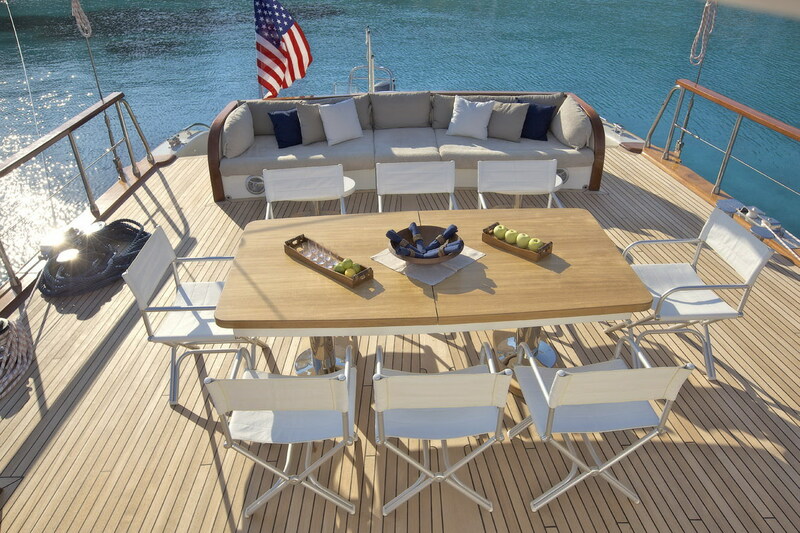 The capacious aft deck features an alfresco dining option and generous seating. 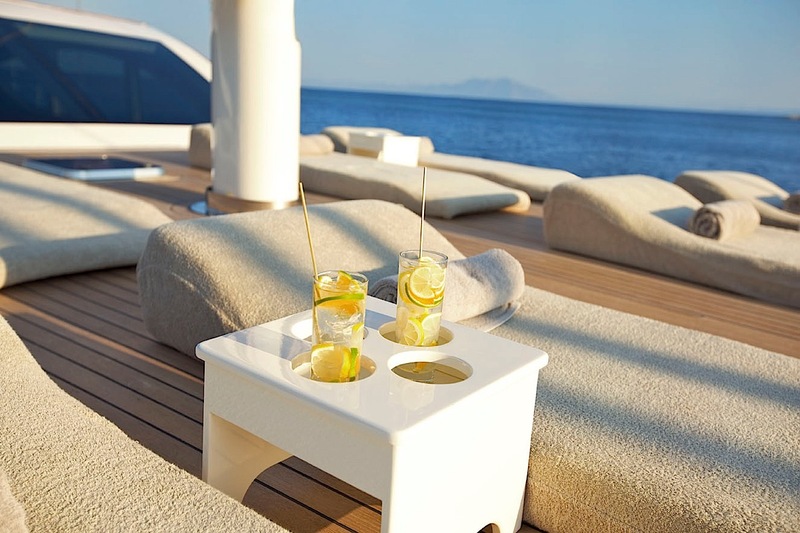 360° wrap-around decks lead forward, to plush sunpads on the cabin house and a further seating area on the foredeck, perfect for sunset cocktails. 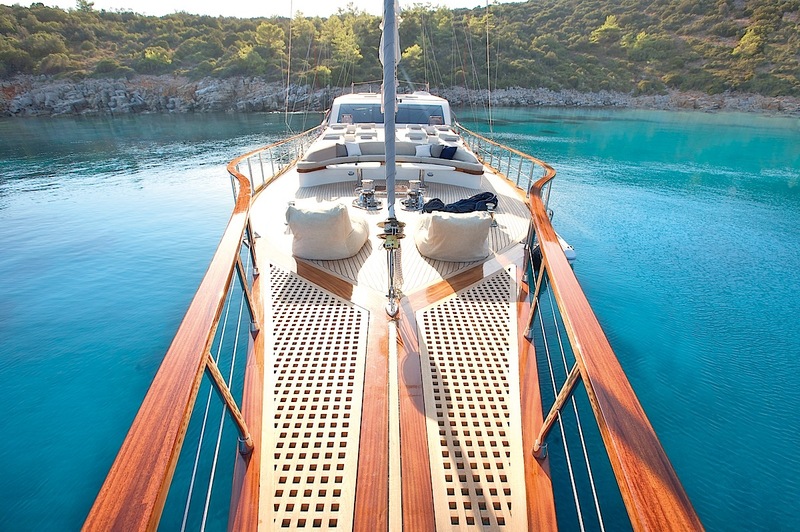 For the water enthusiasts, an extended swim platform is easily accessed via steps on port and starboard, making enjoying the azure waters effortless. 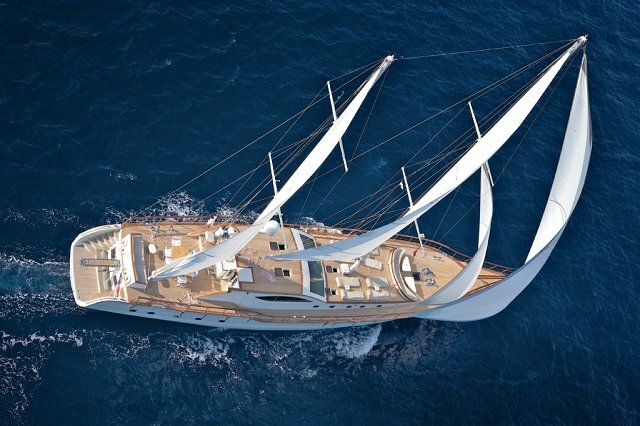 Powered by 2 x Iveco 400hp engines while not under sail, the MISS B yacht is capable of average speeds of 10 knots. 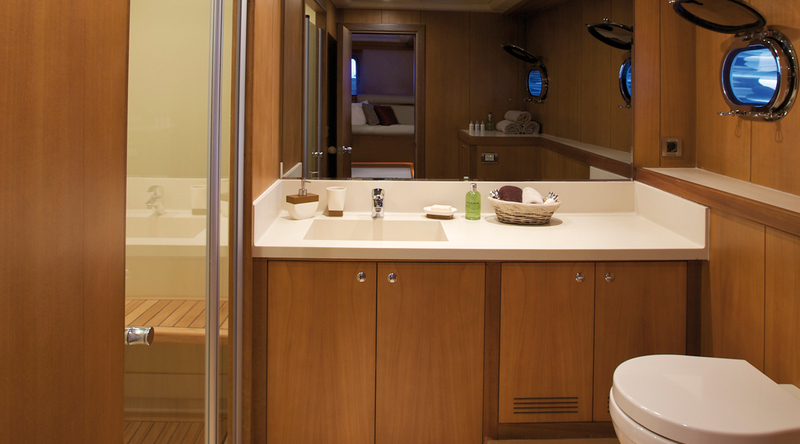 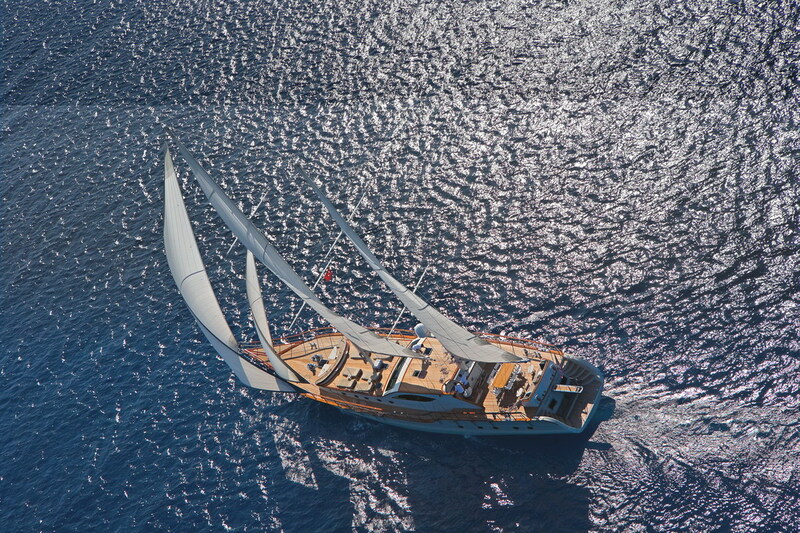 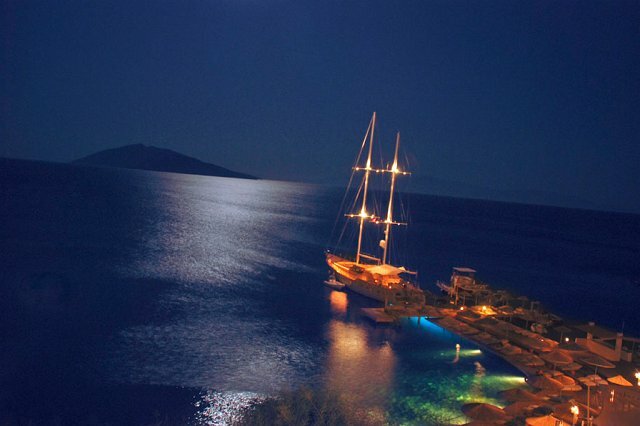 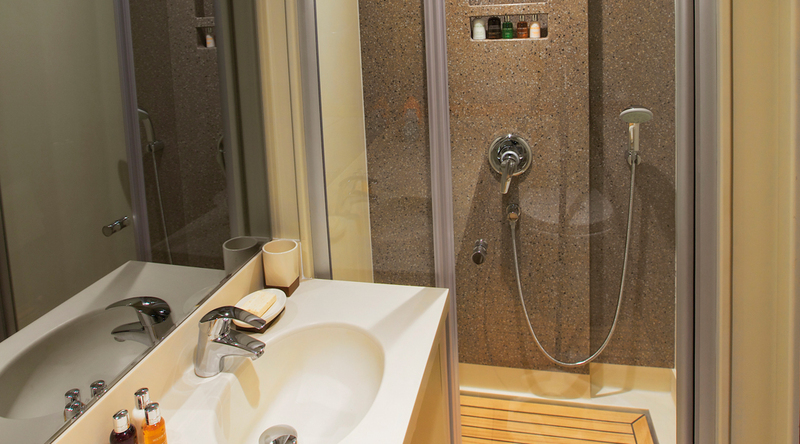 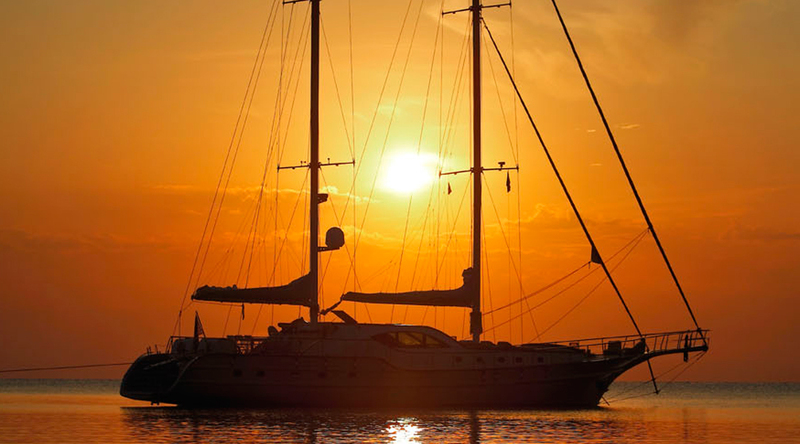 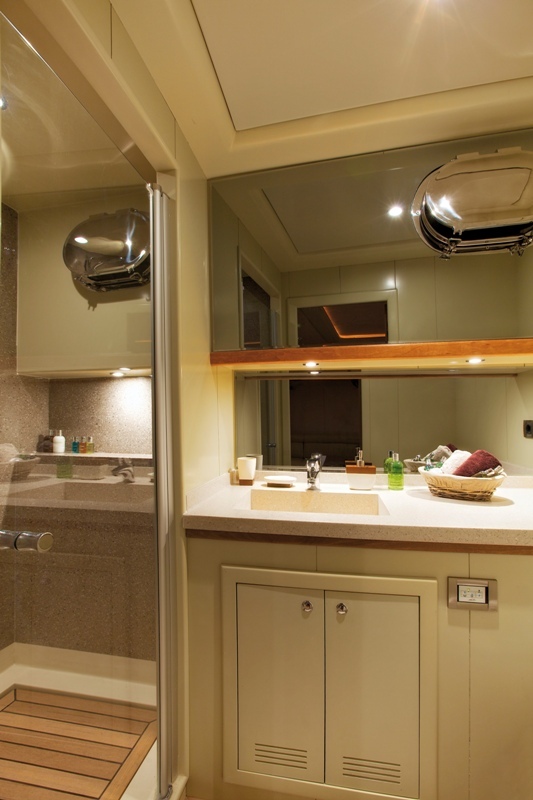 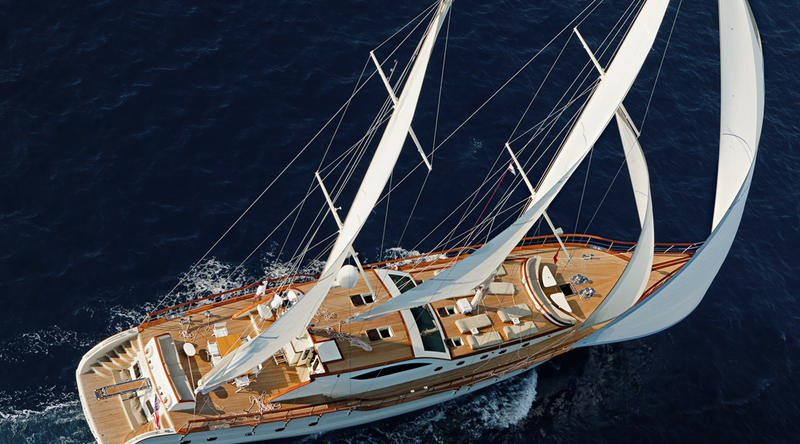 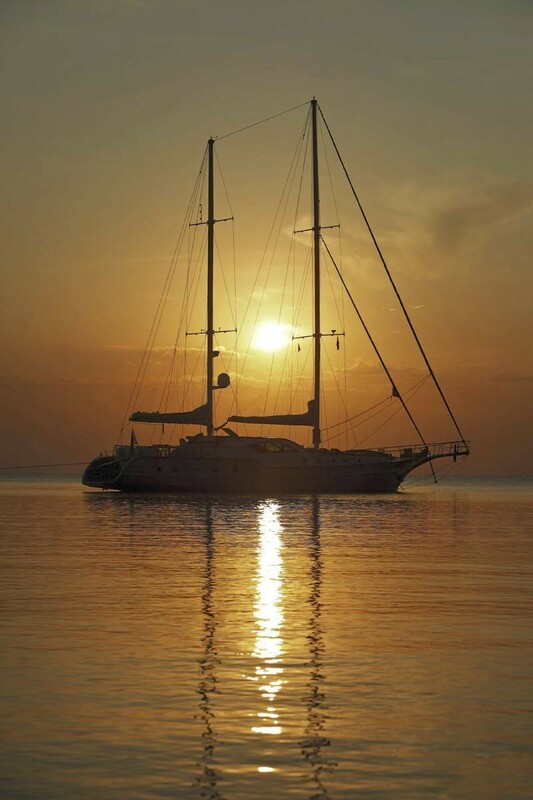 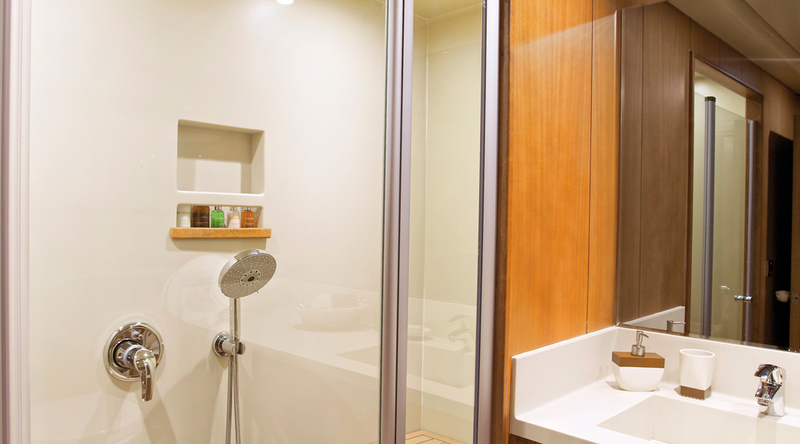 Luxury sailing yacht MISS B can accommodate up to 8 charter guests in 5 cabins, each with private en-suite facilities. 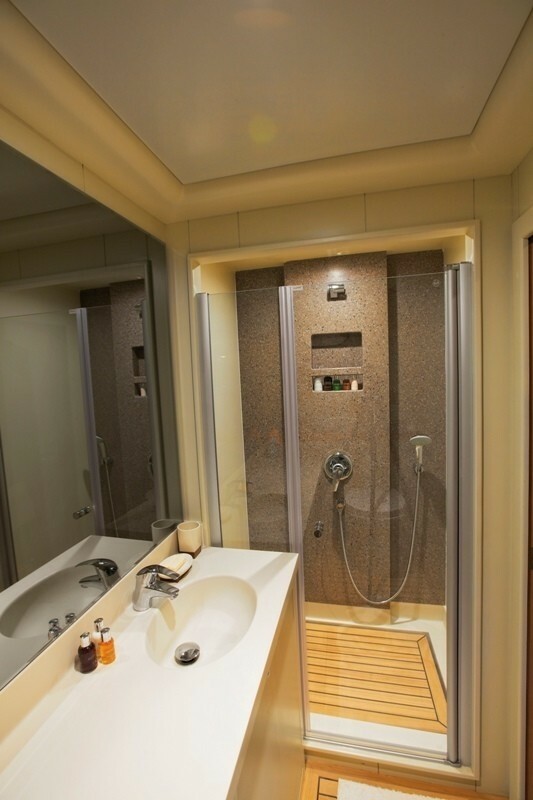 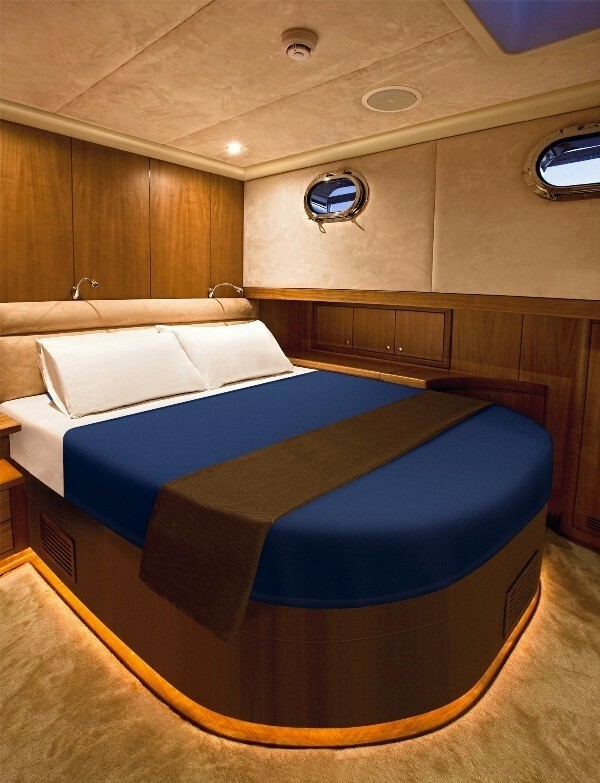 A master cabin has a double bed and is full beam of the yacht, with a center lined double bed and 2 sofas. 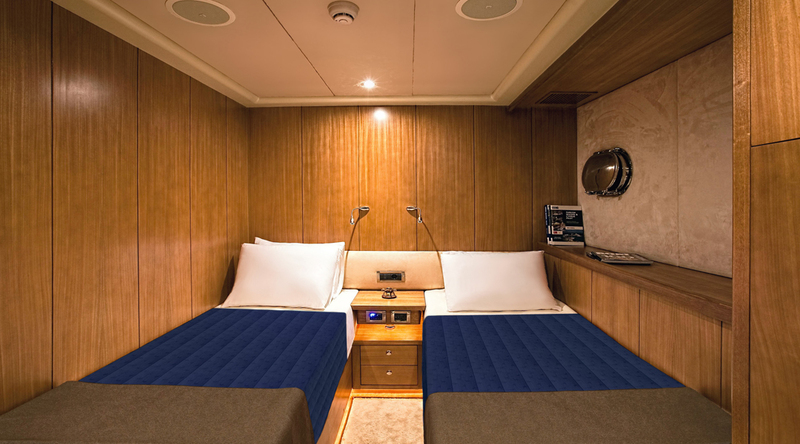 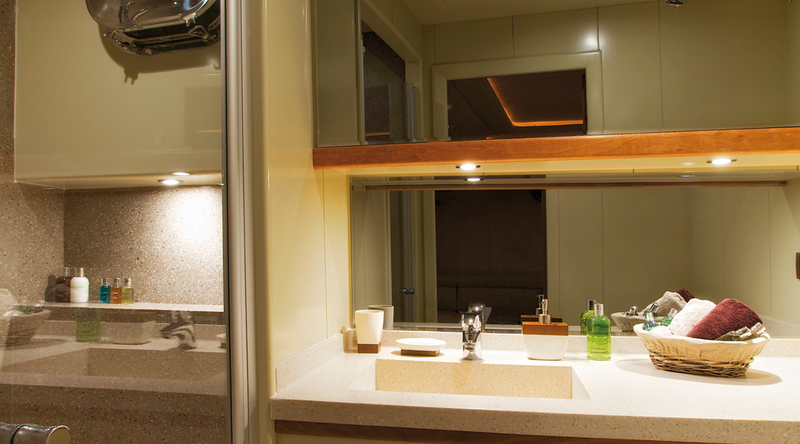 The VIP cabin is forward and full beam of the yacht, with a double bed and port side en-suite. 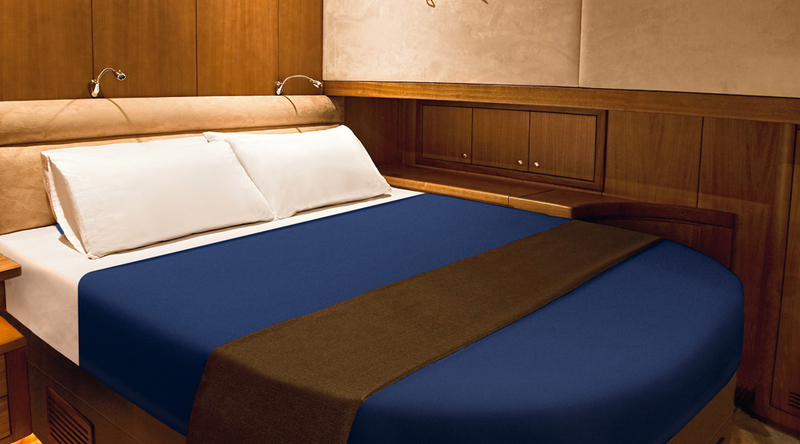 A guest double is on the port side forward, while a guest twin cabin, is on the port side aft. 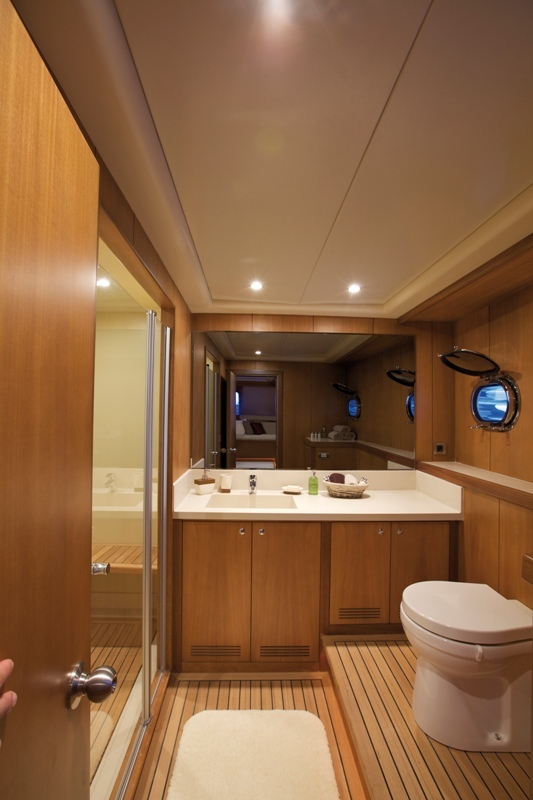 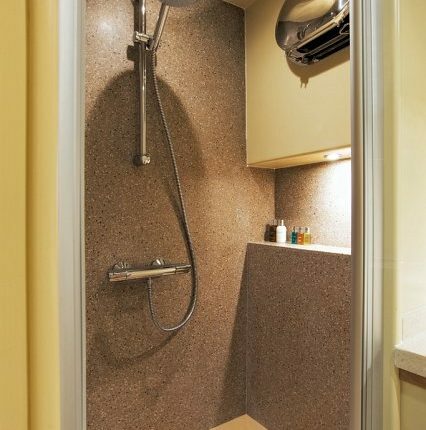 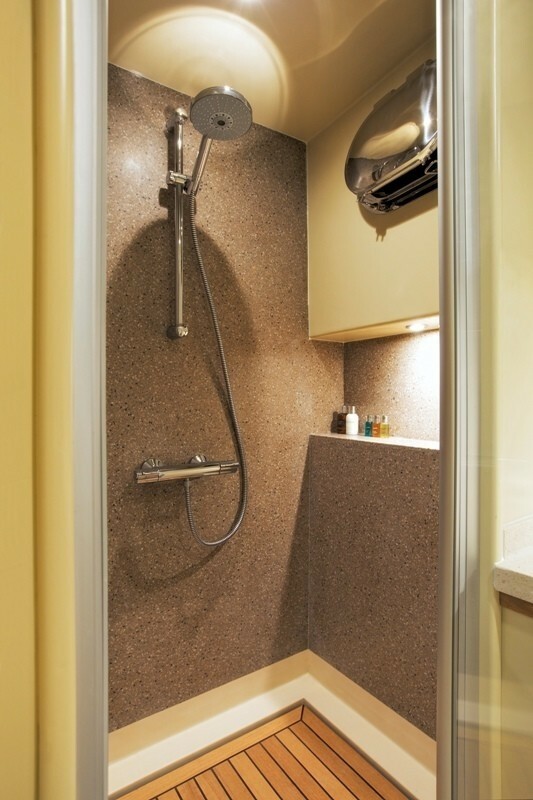 A crew of 4 has separate quarters and facilities. 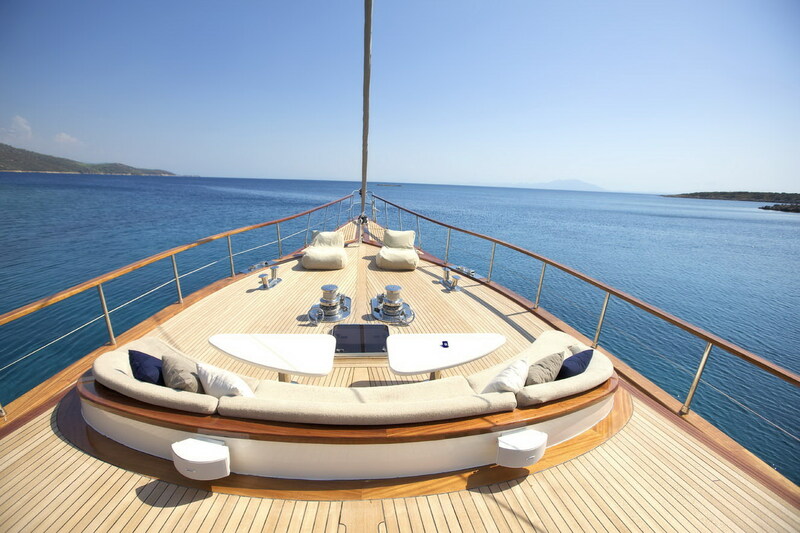 Satellite system. 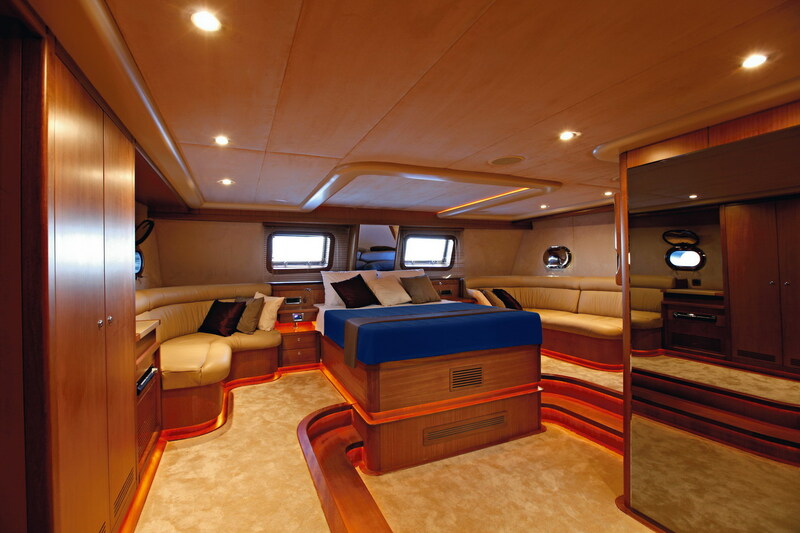 LED TV , DVD-CD , Harman Kardon Home Theatre & Hi-Fi system with i-pod connection in saloon. 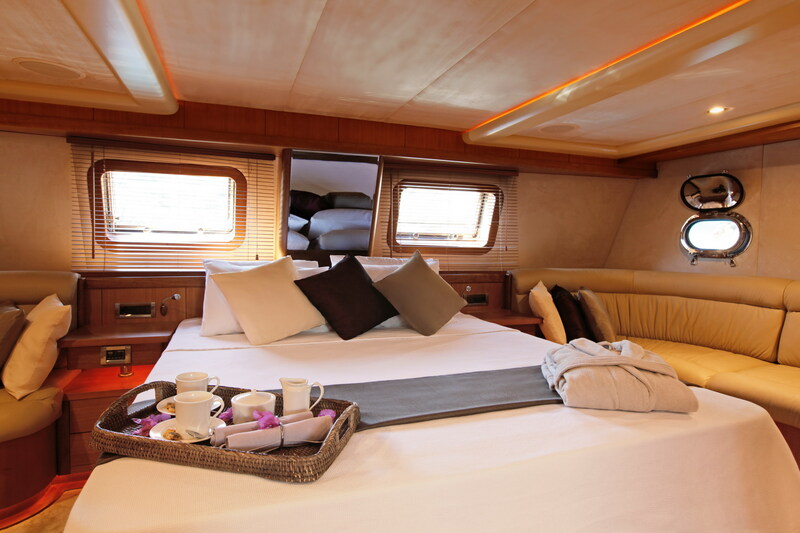 LCD TV , DVD- CD , Stereo music system in all cabins. 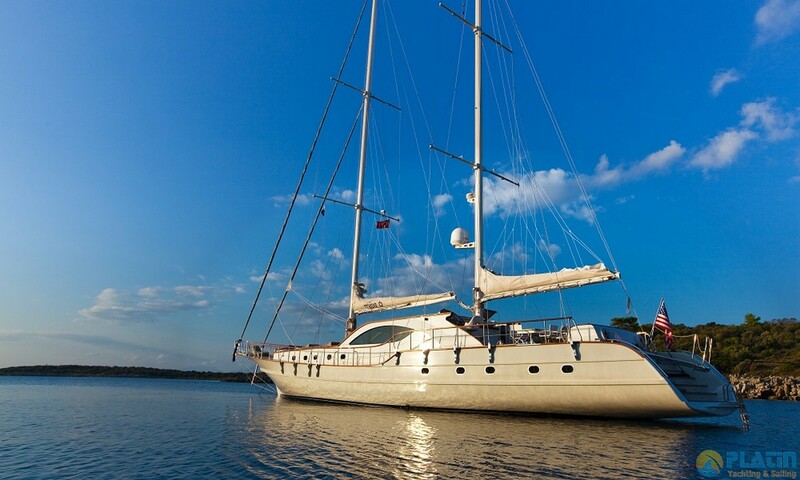 Water Toys & Tenders include Water-skis, Donuts, Wake board, Knee board, Canoe, Fishing & Snorkeling Equipment, 3.50m Jet Tender with 90HP.